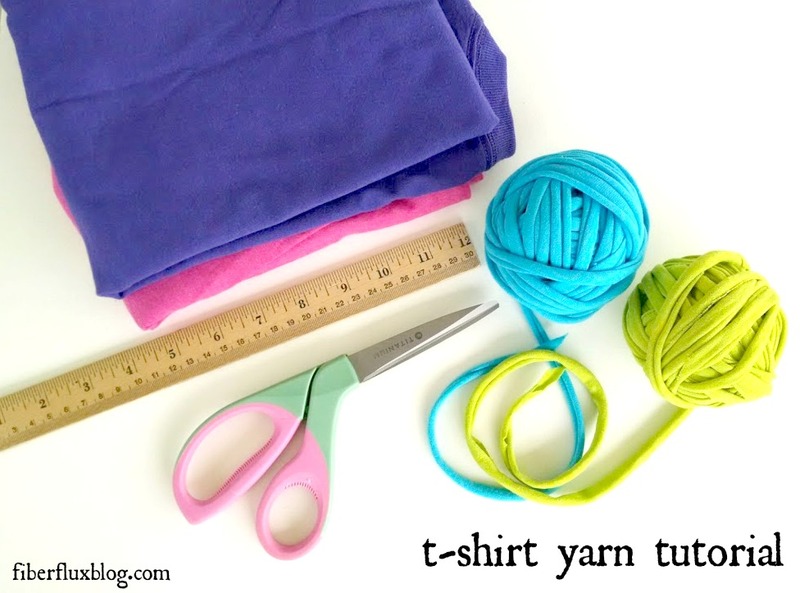 Making t-shirt yarn is a fun summer activity you can do together with kids or friends. 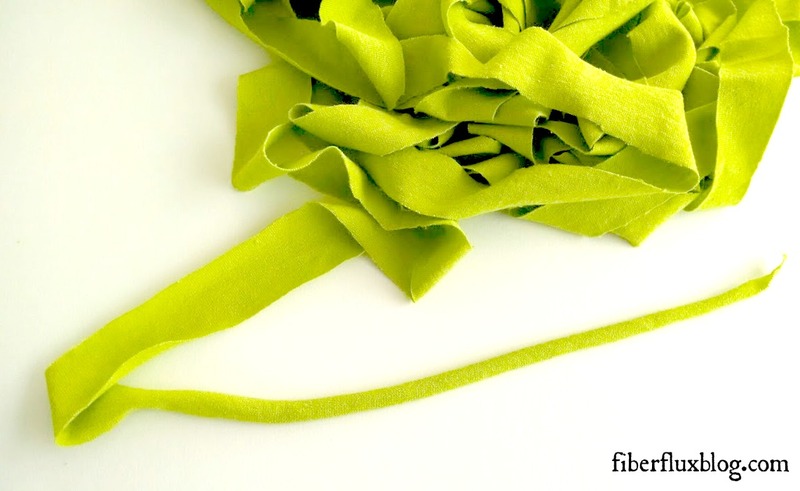 The yarn is bright and soft and you can use it for your crochet, knitting, or anything else you like! It is a great way to clean out your closet too. Be sure and scroll down for a helpful video too. 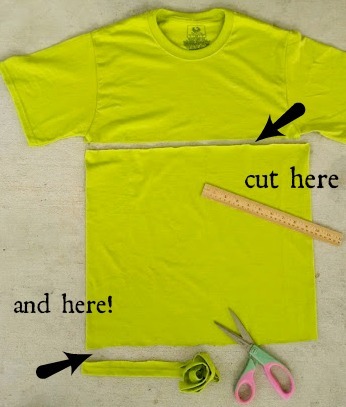 Begin by laying out the t shirt flat. The shirt should have no side seams and no pockets below the sleeves, as this will prevent the yarn from being a smooth continuous strand. 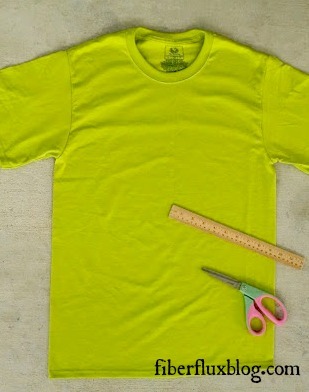 Cut across as shown below...once right below the underarm area and again right above the hem line. You will be left with a large tube. Fold the left side over the right side as shown below. 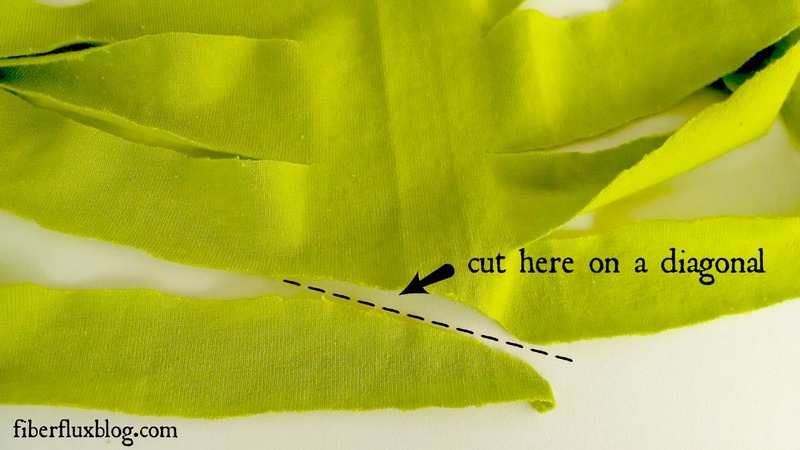 The part you cut in the previous step should be at the top and bottom. 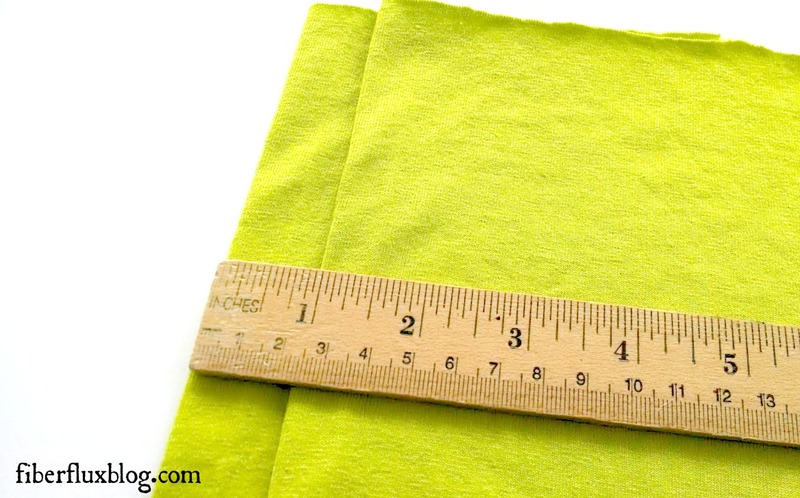 Fold so that there is about an inch in between. 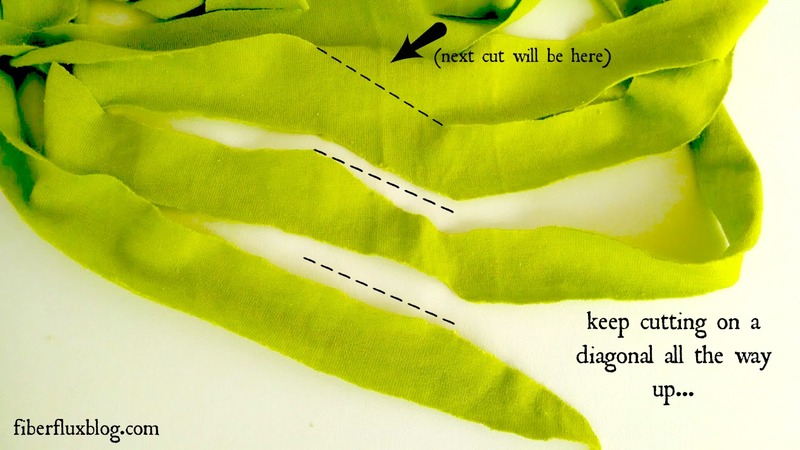 Begin by cutting strips. 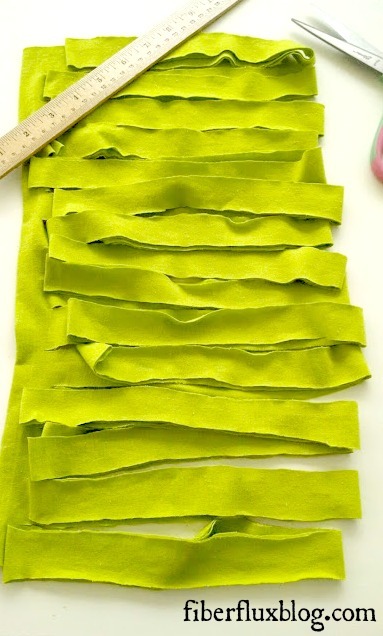 Cut across the first fold, but leave the bottom fold intact as shown below. 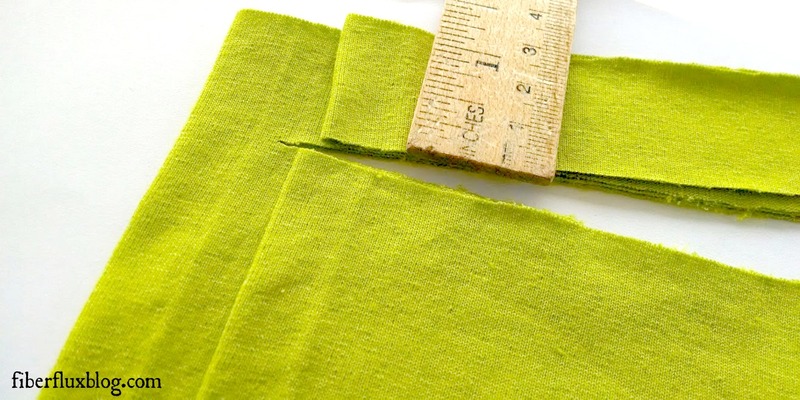 Strips should be roughly one inch wide. Now open everything up with bottom middle facing. 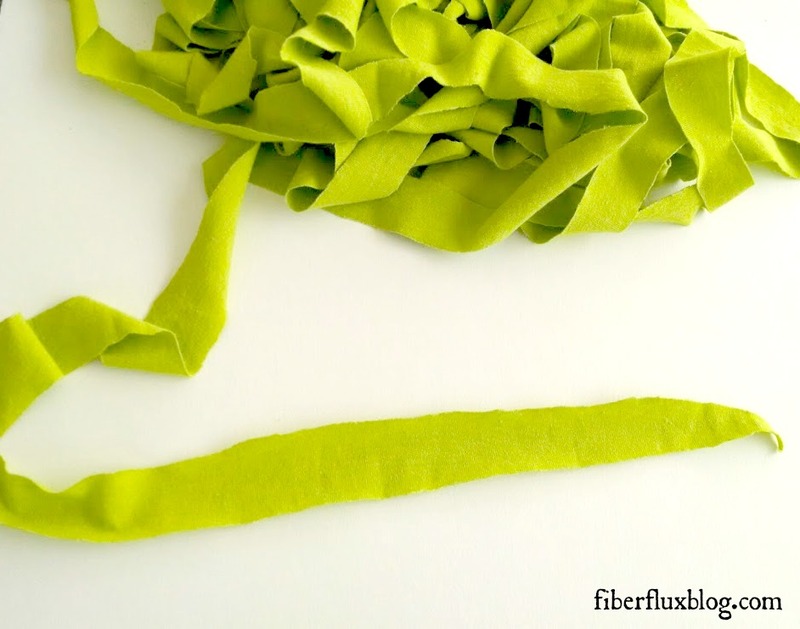 Repeat all the way up by making diagonal cuts...you'll be left with a heap of ribbon-like strands. 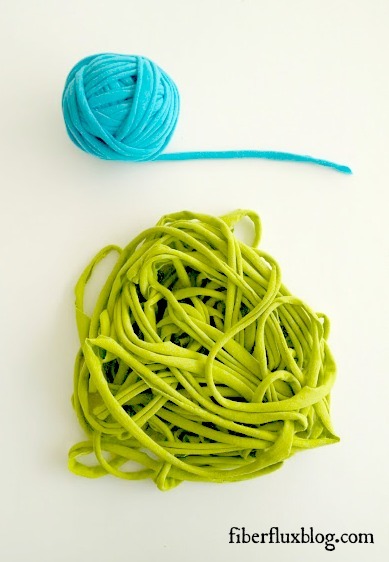 To make the yarn more tubular, give the yarn a firm tug. 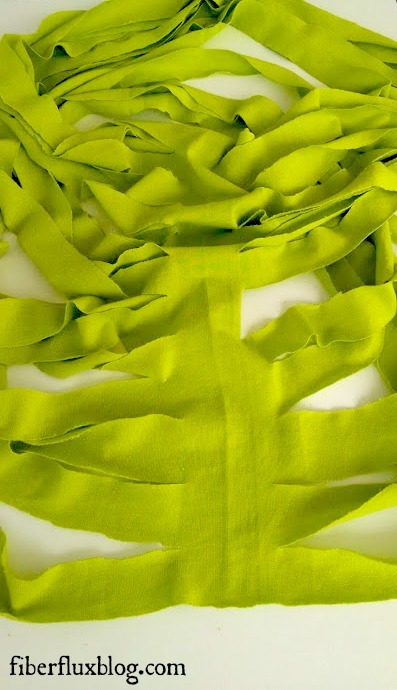 Because t-shirts are jersey knit, the fabric will naturally curl up on the sides, resulting in a more yarn-like appearance. To complete, wind into a neat little ball...finished! I was wondering how to do this... Thanks for the great tutorial! 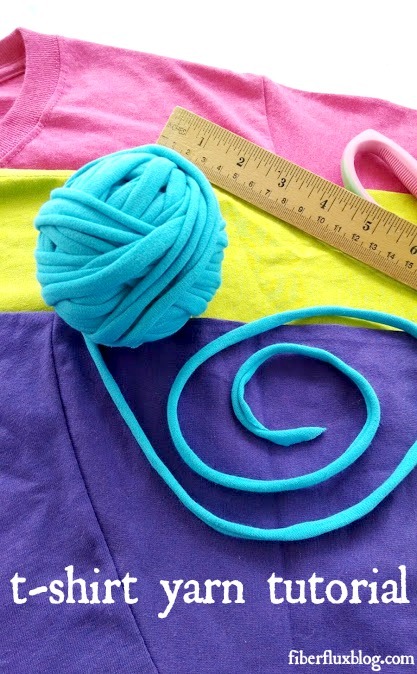 Do you have any tutorials to make something with t shirt yarn? thanks for sharing this brilliant idea....just wondering what size crochet hook would be best to use?